How to get Home Improvement Loan, complete your Home Interior project, and live quality life (all while you’re still young enough to enjoy it)! Are you a Loan / Finance company ? I have some question regarding Home Improvement Loan, can I call you ? NO! All information on Home Improvement loans on our website are for information purpose. 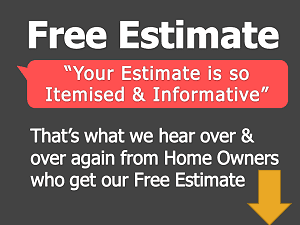 This is a free help resource to home owners. For any further queries regarding Home Improvement loans – you should talk to your Chartered Accountant (CA). Where should I begin For Home Improvement Loans ? Below articles are a good start. Ways to fund your Home Interior Project You have one which is personal loan for Home Improvement for which most home owners apply. And second Option which Home Owners can explore is Balance Transfer of Existing Home loans..
Benefits of Flexi-loans in Home Renovation Flexi-Loan is loan where the initial tenor, let’s say 25% of the tenor you just pay interest as EMI. Here the outflow of your income is slightly reduced. Quick Introduction to Home Improvement Loans There are two different ways you can fund your Home Improvement project. Personal Loan for Home Improvement & Loan Transfer. If you are a Salaried Employed person you can take a Personal Loan for Home Improvement. Should I wait and Save or Opt for Home Improvement Loan According to me if you are eligible you should opt for Loan. Home is one of the most important part thing in life. You are goign to Renovate it to live inside for next 10-15 years may be more. EMIs of Home Improvement loans There are loans with flexibility which keeps EMI less and make it easy to pay. Outflow of EMI will not hit you hard on pocket. Flexi loans (Home improvement Loans) during Home Renovation During Renovation – not all money is required upfront. Also sometimes estimates are not accurate. You start work and then may be you don’t want to spend all or may be you budget exceeds. How does Flexi loan help here ? Home Interior of new house or wait to save We come across many Home owners who plan & wait for 3-4 years to get their homes renovated. The main reason to delay is that they save for next 3-4 years. And this will help them have more funds to the renovation ? All about Loan against Property Indians have a very pre-conceived understanding about Loan against property. This is like a mortgage. They feel mortgage means give their existing house or property as a guarantee to bank in exchange of loan. This is not like that. Are Indians opting for Home Improvement Loans During previous generations, our parents use to work for single company for whole life. Their salary graph was pretty much constant. Now times have changed. You are sure that your salary will be better 3 years or 5 years from now. Your income will grow. Interest Rate on Home Improvement Loans Home Improvement Loan now comes inform of Personal Loan. The Interest Rate varies with nature of work. Interest Rate for Home Improvement Loan for Salaried Individual ranges from 12.55 – 15.5%. When not to take Home Improvement Loan We often talk when to take Loans. Let’s know when not to take Loans for those looking for Home Improvement Loans? If the Home owner is a salaried individual, he shall check with his Income to Obligation ratio. Loan Preference to Business Owner vs Salaried For Business Owner, we would prefer, let’s say a salaried guy who is earning a CTC of 20 lacs. This salaried guy would qualify easily for loan. Paralleled to salaried guy, a SME guy shall have an annual turnover of 1.5 Crore to 2 crore. This will match the eligibility amount. Outlook relating Home Improvement Loan in next 5 years Theres a notion even today that home owner shall opt for Personal Loan only when there’s emergency. There’s this mental block still existing. People say Loan more as obligation rather than as a Financial Instrument. Things Home owners often overlook while applying for Loan Most important is Income to Obligation ratio. You have to find out details like – how much loan/debt payments you have to arrange, your disposal income. Processing Fees of Home Improvement Loans Most of the loans are doorstep now. Home owners are receiving doorstep service. So you can say its like a service cost. From this percentage a small amount goes to RBI. So for e.g. most of the banks take money form BRI, Bank gives this money to home owners as loan. Whatever loan is offered, lending fees is taken which is given to RBI. Common mistakes by Home owner after taking Loans Usually bank gives 30 day to repay. But this affects your CIBIL score. Also it is visible in your history that repayments are made late by so many days. Say you have made late re-payments by 5 days, you see a negative 5 points of marking in history. And next time say you want car loan or any other loans, this 5 marking is evident that can hinder avail you a loan.